It doesn’t matter if you slipped and fell or if you were the victim of a car accident. You cannot make some very basic mistakes if you hope to win your personal injury claim. You are entitled to compensation in the form of damages if you suffer from injuries, but you must remember that you aren’t guaranteed that compensation. If you hope to file a personal injury claim that’s winning and successful, start by avoiding these mistakes. They could cost you more than you bargained for. The biggest mistake you can make is surpassing the statute of limitations. Every state has laws that require people to take action within a certain timeframe. If you’re sitting here asking yourself how it’s possible to miss the deadline for filing a personal injury claim, you should know the facts. The first fact is that not everyone knows the extent of their injuries right away. For example, your injury could grow worse with time. It might not be as serious right now, but it might grow worse as the months pass. This means you didn’t know in advance that you needed to file a personal injury claim, but your doctor is suggesting you consider it as a solution to the financial need you have now that your medical bills are piling up. Additionally, you might not know you’re eligible to file a personal injury claim until it’s brought to your attention months after your accident. Whatever the case may be, you must know the laws in your state. Waiting too long to file a personal injury claim could cost you your chance of ever seeking compensation for your injuries. 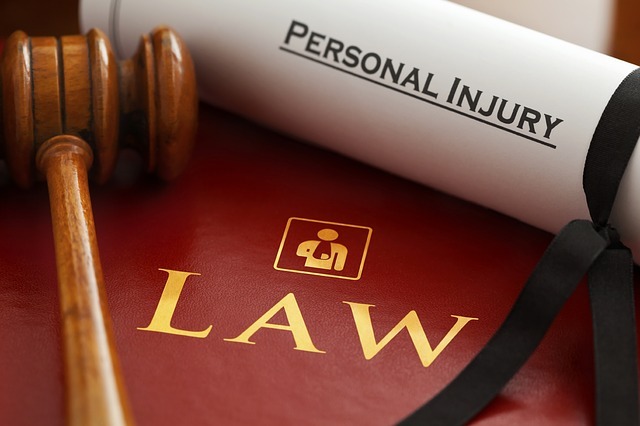 There is one thing you should know about filing a personal injury claim, and this information is readily available for you to find online at foylelegal.com. You cannot misrepresent your injuries in a personal injury claim. If you think exaggerating your injuries can help you make more money in the long run, you’re mistaken. If you say your injuries are so bad, you must be able to prove that they are just that bad. Lying about injuries is the number one way to lose a personal injury claim. It’s not difficult to find out if someone is lying, either. The representative for the at-fault party will stop at nothing to prove that you are not nearly as injured as you claim you are, and it’s not going to take much for them to prove that if you’re lying about your injuries. You may not realize what a mistake you’re making, but your social media account can lose a personal injury case. Even if you are not doing anything wrong, your social media account can tell a judge, jury, or defendant otherwise. For example, if you are suffering from a massive back injury but you tag yourself in a post at the bowling alley, you could lose your case. It doesn’t matter if you are bowling or not. If you’re there, the defense can claim that your back wasn’t too injured for you to bowl. You cannot prove otherwise. You may have been at the bowling alley because that’s where your niece celebrated her birthday, and all you did was sit down and watch everyone else have a good time. It doesn’t look good, and it can cost you your case. The best thing you can do for yourself if you are involved in a personal injury case is stay off social media. It takes one small mistake, one tag, one photo to discredit everything you’re trying to do. Do you want one photo of you on vacation to ruin your entire lawsuit? If you get hurt, the first thing you must do is file a police report. It doesn’t matter if you think that the accident was just a minor one. For example, you’re involved in a car accident at a red light. The car behind you failed to stop in time, and they hit you from behind. Your vehicle doesn’t appear to have much damage, and you aren’t visibly injured. You decide that you and the other driver will keep your accident simple by not exchanging insurance information or filing a police report. The other driver pays for the damage to your car to be fixed, and you move on with your life. Fast forward a month. Suddenly, that little bit of soreness you thought was normal after the accident is getting worse. The pain is almost unbearable, and you go to the doctor. The doctor tells you that you did some serious damage to some nerves, and walking around without medical attention only made it worse. You didn’t file a police report, but you want to file a personal injury claim. Without this evidence to prove the other driver hit you, the other driver might deny that ever happened. Even if you can prove that the other driver paid for your car repairs, you have no proof that you were in the car without a police report. It’s your word against their word, and you will very likely lose your case. You didn’t feel like you were hurt during an accident or a fall, but you should always go to the doctor just in case. First and foremost, many injuries are internal, which means they don’t show up until you go to the doctor. Leaving them untreated can make them worse. Second, failing to seek medical attention for a few weeks makes it look as if you were not hurt. The at-fault party might even argue that you were injured at a later date, but you want to get some financial compensation for your pain, so you’re trying to pin it on them. You need to see the doctor right away. Call the police, and go see a doctor. Those are the first two things you should do following an accident or injury of any sort. Following that, you should file a claim as quickly as possible. Be honest about your injuries, and stay off of social media. If you can accomplish all this, you might just make it possible for you to win your personal injury claim.